5+1 Asset Tracking Technologies: Which One to Use for Your Business? 5+1 Asset Tracking Technologies: Which One to Use for Your Business? 5+1 Asset Tracking Technologies: Which One to Use for Your Business? Asset tracking. The technology options for tracking assets are vast, and it’s not always easy to choose the most suitable one for your needs. 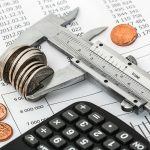 In this article we will list some of the most used asset tracking technologies and take a look at their pros and cons. We will also provide some example use cases for each technology. At the end, we will conclude with a table that summarizes the technologies listed in this article. What does asset tracking actually mean? In our experience, people mean very different things when they talk about it. For many, asset tracking simply means tracking asset information, such as due dates, calibration documents, usage information (which employee is using which asset and for how long) etc. For some, it means tracking the real-time location and tracing of vehicles or shipping containers. Yet for someone else, asset tracking could mean tracking assets’ usage hours with an IoT (Internet of Things) solution. These are just a few examples that we are going to explore in this article. How much you are willing to pay for the solution (or how much not having a solution costs you). Hopefully this guide will help you navigate through the jungle of asset tracking options! 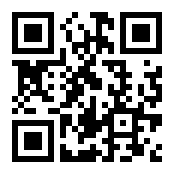 A Quick Response (QR) code is a specific type of barcode. In general, barcodes are used in asset tracking to uniquely identify assets upon scanning. In this article, however, we will focus on QR codes because of their advantages over traditional barcodes: 1) they can be scanned in 360 degrees, in any direction, with a smartphone’s camera, 2) they can contain more information than traditional barcodes, and 3) they allow for an error margin up to 30 %, which helps if the code gets dirty or damaged (or if you want to alter the QR code appearance by including your logo etc.). Labeling your assets with QR codes (or other barcodes) is the cheapest option for asset tracking, and probably the fastest to implement. Scanning the code saves time and prevents mistakes from having to type an asset identifier (ID) into an asset management system manually. QR codes are easily scanned with smartphones, and the location data for each scan can be recorded by utilizing the smartphones’ GPS. don’t need to track assets automatically. Near Field Communication (NFC) is a technology standard based on RFID (described later), but because of its special attributes, it is described separately. 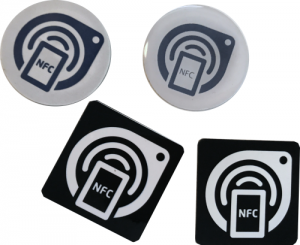 The most important difference between NFC and RFID is that you can scan NFC tags with mobile devices. This is a huge advantage, since RFID readers are usually quite expensive, and your staff is most likely already using smartphones. Like QR codes, NFC tags are used to uniquely identify assets upon scanning. NFC tags can be used for asset tracking instead of or along with QR codes, but they are a bit more expensive. Because NFC tags provide a higher scanning speed than QR codes, they are more useful if you have to process a high volume of assets daily. Other advantages of NFC over QR codes include flexibility: unlike QR codes, you can store and change information anytime you want (e.g. with your smartphone) without creating a new tag. This enables certain applications that are not possible with QR codes.  Also, you can store more information on an NFC tag than on a QR code. Use cases for QR codes and NFC are similar, with the difference that NFC can provide better user experience. Like QR codes, NFC is not practical if your use case requires real-time or automatic asset tracking. Need to track a very high volume of assets regularly? Radio Frequency IDentification (RFID) tags allow you to speed things up. One familiar RFID technology use case is an anti-theft alarm system used at a store’s doorway. With an RFID reader you don’t need to scan assets individually, but the reader can detect all the assets within its working range at once. Also, you can use RFID to automate check-in/out processes by tracking assets passing through checkpoints, for example. However, the readers are quite expensive: a single handheld RFID reader can cost over $4,000. RFID tags can be passive or active. Passive tags don’t have a power source of their own, but they receive electromagnetic energy from the RFID reader when they appear in the reader’s working range. The maximum read range for passive tags is about 10 meters. Active RFID tags need a battery and they can continuously broadcast their own signal. Their read range is much wider than that of passive tags (up to 100 meters), but they are also much more expensive. In addition, because of the battery, they are bigger in size. 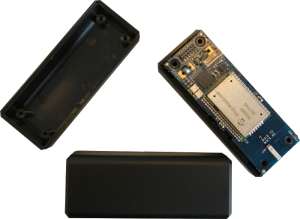 BLE beacons are a simple IoT technology on the rise. A beacon is a small wireless device that periodically broadcasts a signal into its surroundings. Other devices can “see” the signals and understand their distance to the beacon. Beacons utilize Bluetooth low-energy (BLE) technology which needs only a fraction of the energy required by traditional Bluetooth. The use of BLE enables beacons to run for years with very small batteries. In principle BLE beacons work very similarly compared to active RFID tags. Beacons are perhaps the most affordable option if your use case requires active tracking of assets. The most important advantage compared to RFID is that you don’t need buy expensive RFID readers but can use your smartphone (or other Bluetooth-enabled device) as a reader. The range for beacons is typically from 1 to 70 meters (line of sight required). GPS (Global Positioning System) is ideal for global, outdoor tracking of assets. It is based on a system of 24 satellites communicating with receivers on the ground. These satellites broadcast signals that contain information about their current position and time. GPS receiver calculates its distance to at least 4 satellites and uses this information to determine its location on earth. GPS is used for a very specific purpose, and it’s not optimal for tracking smaller movements or indoor positioning. GPS tracking devices are quite big (size comparable to a smartphone), so you can’t exactly “label” your assets with GPS “tags”. The devices are also rather expensive. In addition to GPS tracking devices, you also need a service provider that owns a network where the device can report the information and where you can access it. This works similarly to signing up for a data plan with your mobile phone: in addition to the device itself, you will have to pay a monthly fee for the service. want to make sure assets stay within a set boundary (geofencing). However, if your goal is to track asset inventory, usage history, transactions, etc., you can use other asset tracking methods like QR codes, NFC or RFID. The Internet of Things (IoT) is a concept where physical devices, vehicles, buildings, etc. are connected to a network, allowing communication, exchange of data, information gathering, remote control and so on. While some of the technologies mentioned above are considered as IoT, it should be noted that IoT provides an enormous amount of different kinds of possibilities for asset tracking. 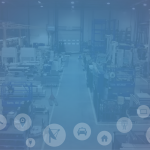 For example, IoT sensors allow you to actively track specific information about your assets. There are many types of sensors that can be utilized for different use cases, such as acceleration, temperature, humidity, pressure, or proximity sensors. The collected and analyzed data can be utilized for, e.g., supporting decision making and enabling predictive maintenance. There are various considerations that relate to IoT itself, such as connectivity, transmission rate and battery life. Depending on the use case the right solution is not always easy to pick. Stay tuned for our follow-up post focusing on this topic! To conclude, here’s a quick comparison of the main asset tracking technologies introduced in this article. 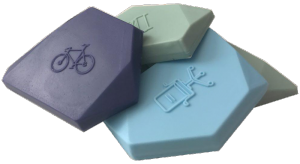 I think beacons works best for asset tracking whether in warehouse or in-transit. Thank you for this comprehensive article, it was really useful. Glad you found it useful, Manoosh!